In most instances adding a winch means also installing a larger, expensive, and sometimes unsightly aftermarket front bumper. 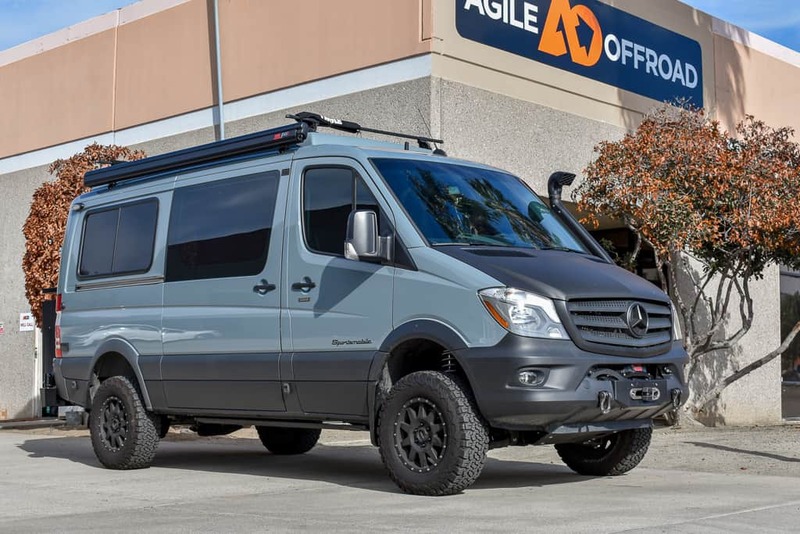 However Agile Off Road has developed a custom hidden mount winch plate designed to work with the OEM bumper on your second generation (2007 – 2018) Mercedes-Benz Sprinter van. Our winch plate is designed & manufactured in-house. We can install yours at our southern California shop or ship it to you anywhere in the world. Note: Our winch plate must be installed with an engine skid plate to reinforce its mounting points & strengthen the Sprinter’s front end enough for winching. Skid plate IS included as a part of this recovery package. *Fit Notes: 4×4 configuration only. 3500 vans require additional fabrication. Email for details.